I was asked to extend my thoughts on a particular conference speech I had given for the Westminster Education Forum on ‘Next Steps for Special Educational Needs’. I have hoped to capture and crystalize my thoughts on on our current educational climate and some of the key concerns of our age. This article is written prior to the publication of the Department for Education’s Green Paper on Special Educational Needs and Disabilities (SEND). My interest lies in how our discourse around SEN has been constrained so that the language of failure of policies or doubt in our ideology is erased from the equation. Whatever the outcomes, our inclusion agenda endures as an untarnished ideal, enshrined in a climate of fear that permeates all areas of decision making: a fear of offending current political sensibilities; of dissent and tribunals; of league-tables and Ofsted ratings. What has been lost in this past decade is a capacity for open discussion between all stake-holders of issues relating to effective provision for young people with SEN against a relevant curriculum, within appropriate settings. These issues extend far beyond notions of mainstream or special school and extend to issues of curriculum, of current examination and qualification systems and of external school support for SEN. This lack of capacity is compounded by a rapidly changing landscape whereby 2,662 establishments have opened since 1997. In the same period, 4,420 schools have closed, including over 200 maintained special schools, an action that has sent sharp messages to schools and parents about the desirability and sustainability of specialist provision. Hard hit has been provision for pupils with moderate or severe learning difficulties, with specialist and enhanced resource provisions closing their doors to future intakes. Issues of provision have dominated the agenda at the expense of much-maligned issues of placement. The gulf that exists between mainstream and special education is exacerbated by a curriculum that serves the needs of our SEN population poorly, affording them neither academic success nor technical or vocational skills or qualifications. Recognizing local, regional and national educational establishments, including independent sector special schools offering residential 38 or 52 week care and education, should form a continuum of provision to guide our decision making in meeting pupil needs. There is a need to distance ourselves from the constraints of the past, from the chains of the inclusion agenda. We all play a part in focusing attention on what matters: securing a quality of education, of life chances and opportunities for young people with SEN. It should be permissible, possible and desirable to consider issues of provision, of a relevant curriculum and of placement. Only when we can truly state the reality of a situation, can we plan for a more flexible and effective approach to managing pupil special needs. 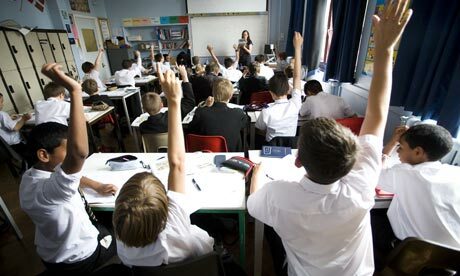 Inclusion: does it matter where pupils are taught?